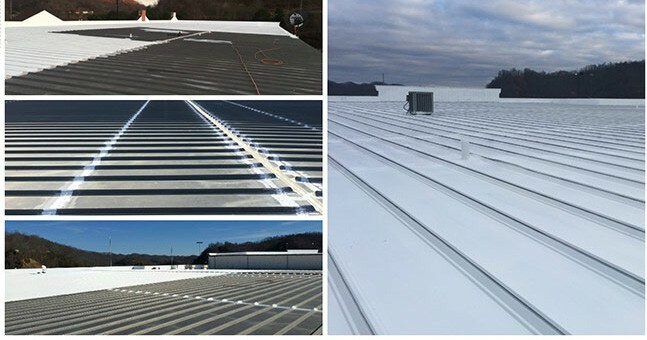 After receiving an initial roof inspection by ACS during the due diligence stage, the team at Big V Properties knew that they would need to address the roof system prior to acquiring a new property in eastern KY. They just didn’t know what the solution would be and how much it would cost. Because other investors were involved, Big V needed multiple proposals to meet their contract requirement. 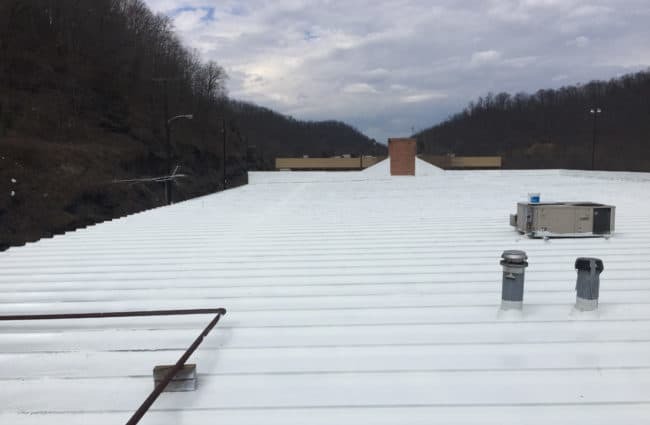 ACS looked at all the options and determined a silicone coating would be the most economical while meeting their waterproofing needs. Two firms offered proposals for this solution and the client chose ACS despite having a slightly higher cost and less warrantable life. The difference? A thorough scope of work and General Electric. Big V knew the level of professionalism, communication and quality workmanship based on previous projects. This was valued over price and ACS did not disappoint. Despite the delays due to winter weather, ACS completed the project with happy tenants and a happy building owner. Contact us to learn more about our roof inspection and replacement options to see which is best for you!